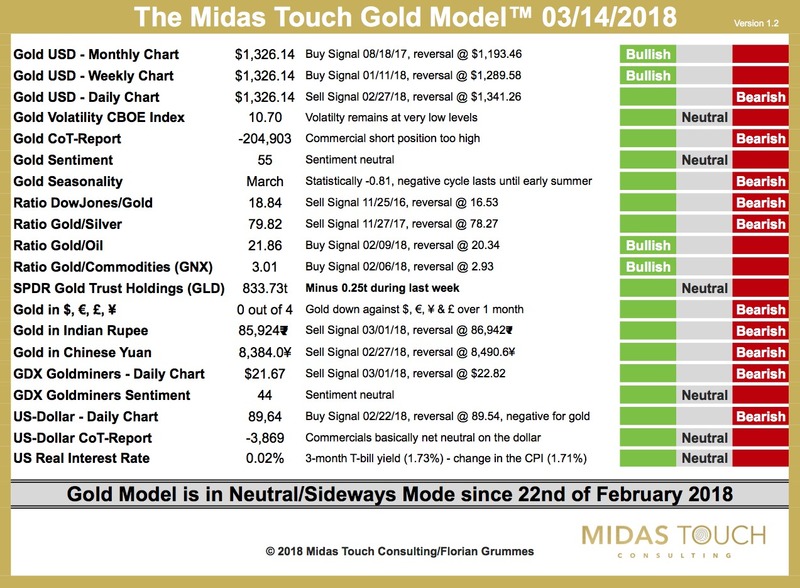 There was only one minor change in our Midas Touch Gold Model™ over the last six trading days. As the SPDR Gold Trust holdings ETF “GLD” reported outflows of 0.25t of gold this indicator moved from bullish to neutral. Besides that everything else basically remains the same and the conclusion for the gold market continues to be neutral/sideways.